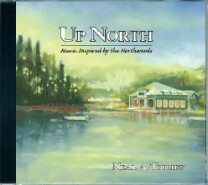 original solo piano works. 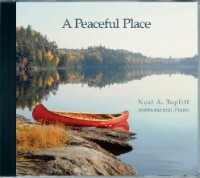 He writes, "This CD was inspired by time spent in the Boundary Waters Canoe Area in Northern Minnesota which is one of my favorite places to visit. I am honored that Craig Blacklock, one of the country's premier landscape photographers specializing in Lake Superior and BWCA Photography, allowed me the use of one of his amazing pictures for this project." 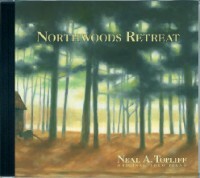 Pianist Neal A. Topliff's album of original solo piano are compositions inspired by a Northwoods Retreat and have been written to help you get away from the hectic pace of everyday life, if even for a short time. This music presents the many moods of water: a stream, a river, a lake or the ocean. 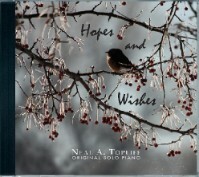 Most of Neal Topliff's songs are inspired by his own experiences while others begin with photographs or paintings as I musically interpret my impression of these special images. 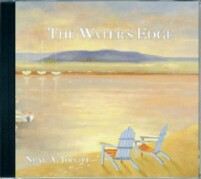 He hopes these songs remind you of your own special memories along The Waters Edge. 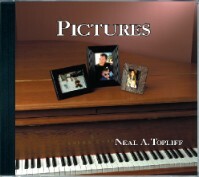 This soothing and reflective CD is a tribute to some of the people and places that inspired Neal Topliff to play the piano and to write music. musical tribute to that feeling you get when you experience or remember your first kiss, a shared sunset, having your first child, or buying that first home or car. Tender Grand Piano melodies are filled out with lush orchestration.